MONTHLY photos contributed by our members for January - 2019. 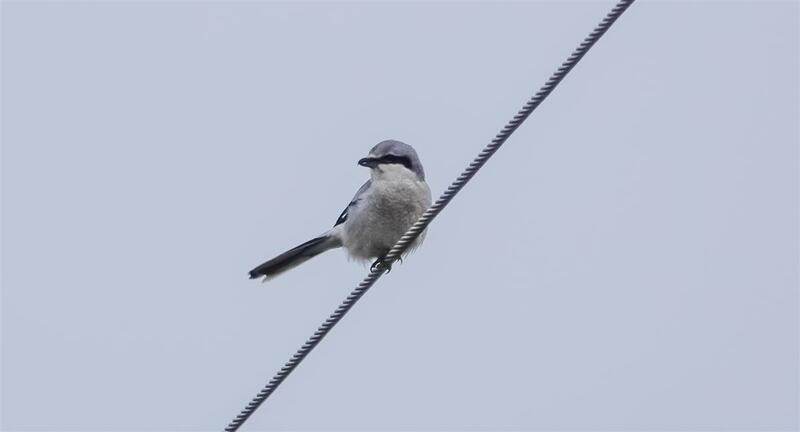 Northern Shrike near the Berry Road Marsh in Fredonia on January 2nd. 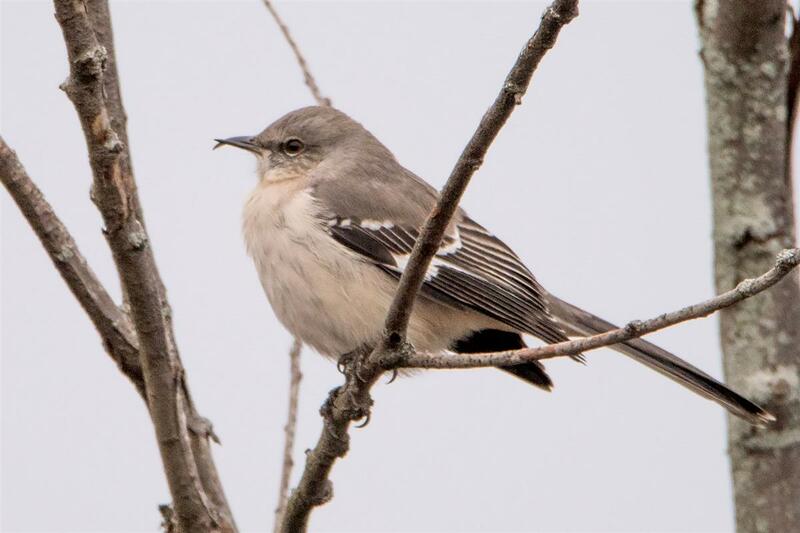 Check out the bill on this Northern Mockingbird - the top mandible crosses over the top - but it doesn't seem to slow this guy down! I've seen him 3 years in a row now at the Botanical Gardens. Photographed on the 2nd. 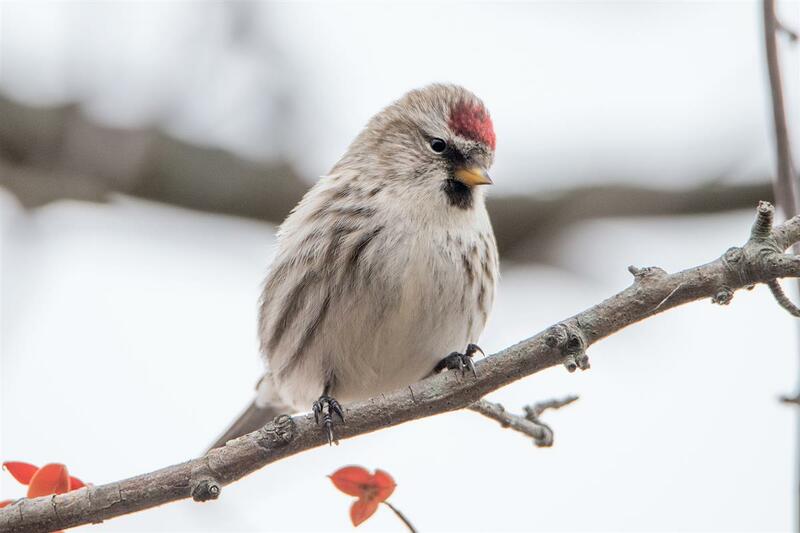 A Common Redpoll finally seen in Erie County at Evangola SP on the 8th! This pretty girl was a poser! 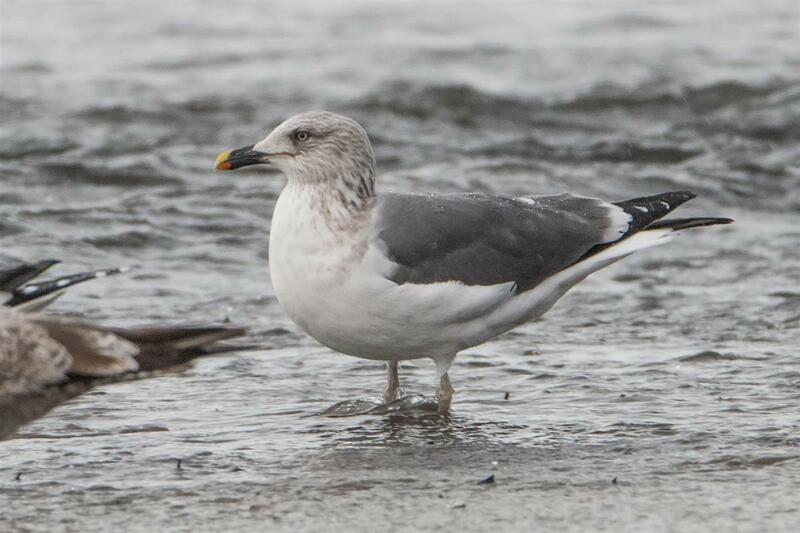 A neat study bird: this Lesser Black-backed Gull appeared to have a fully gray mantle that an adult would have - but note the large amount of black in the bill, the not-quite yellow legs, and the heavy streaking on the head, neck, and eyes - all pointing to a sub-adult bird. Woodlawn Beach SP on the 8th. 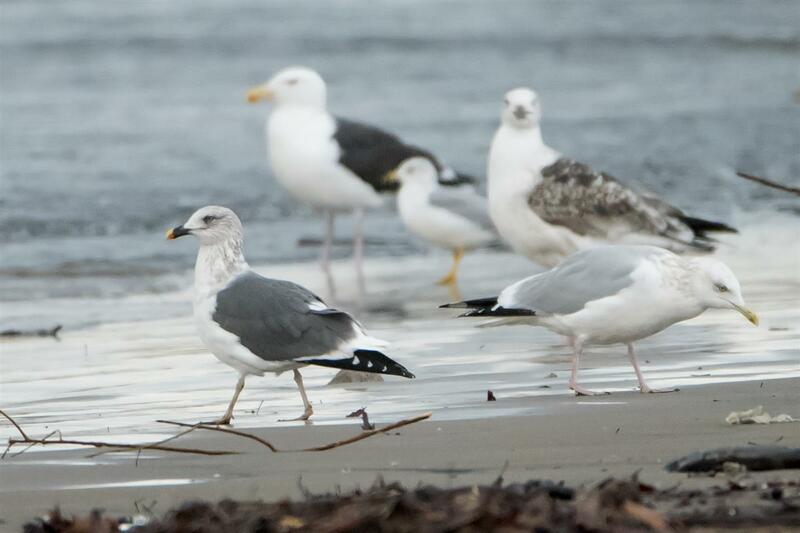 Another photo of the Lesser Black-backed grouped with Great Black-backed, a Ring-billed, and Herring Gull - giving a nice size comparison. 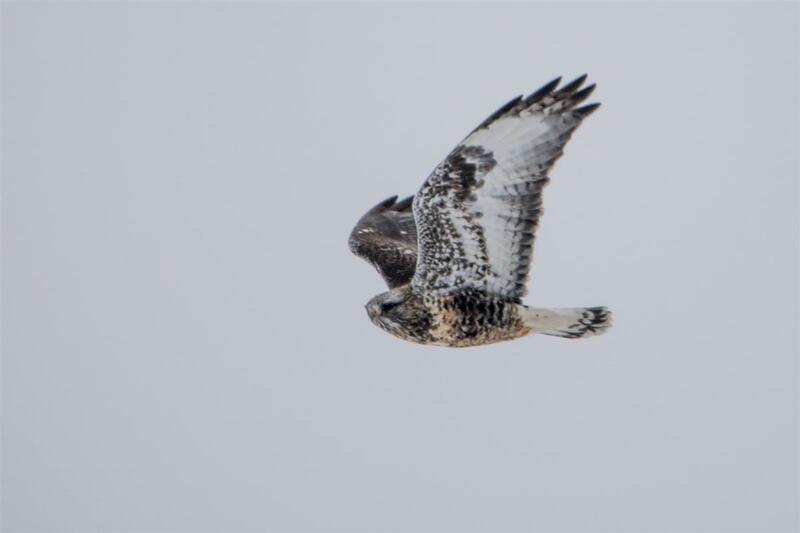 This handsome adult male Rough-legged Hawk was seen in Attica on the 15th. 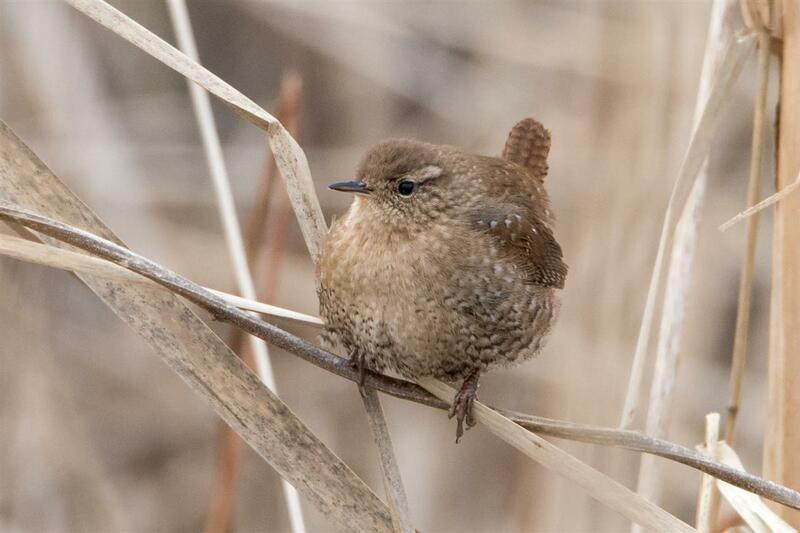 A Winter Wren in Orchard Park - seen on the 17th. Is he late or early??? 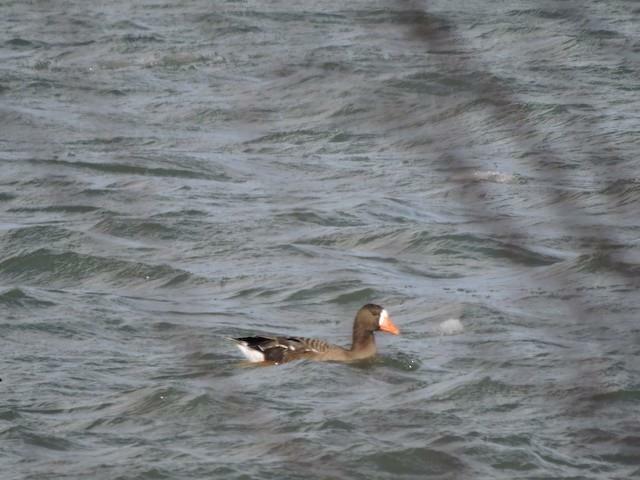 Mike Morgante found this Greater White-fronted Goose while conducting the annual NYS waterfowl count on Grand Island. This bird was visible from the Sandy Beach Yacht Club parking lot on the 27th. 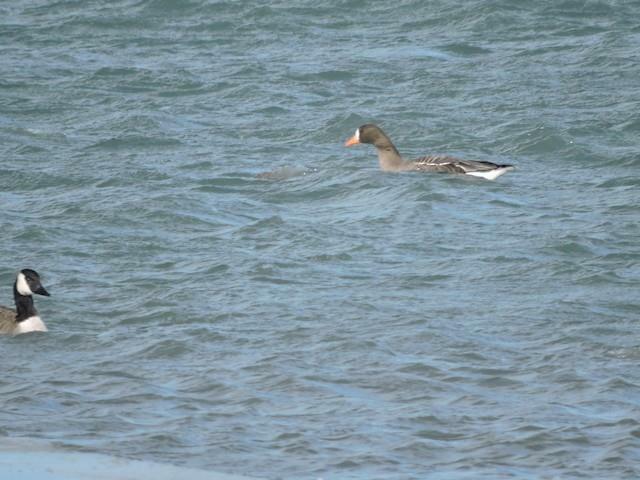 Another photo of Morgante's White-fronted Goose from the 27th on the Niagara River off Grand Island. 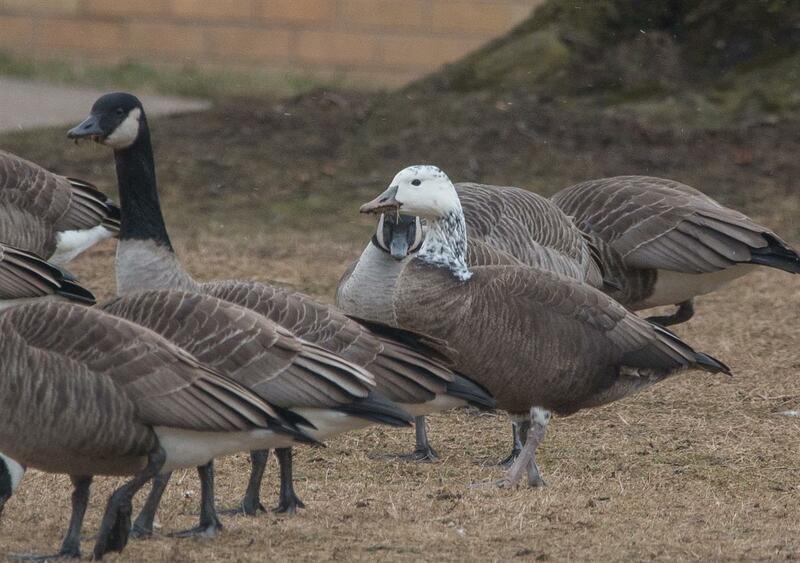 This (presumed) Snow Goose x Canada Goose hybrid was seen at Johnson Creek, in Lyndonville, on Jan. 18th. This bird shows the white head/neck, pinkish bill and legs, and partial grin patch of a Snow Goose, as well as the rich, dark brown body of a Canada Goose. 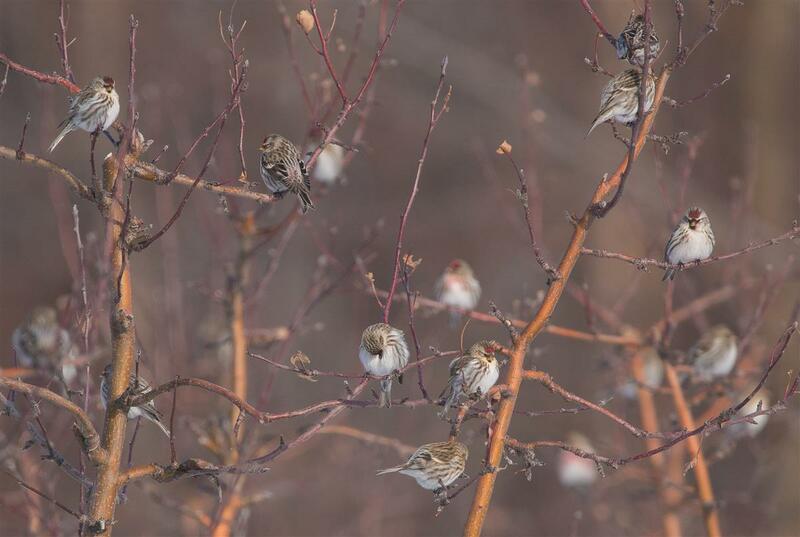 Some of the Common Redpolls in a flock of over 60 individuals found on Swigert Rd. in Newfane on the 26th. Targeting the rows of alder trees that are often associated with apple orchards has been a fairly productive strategy for finding this species. 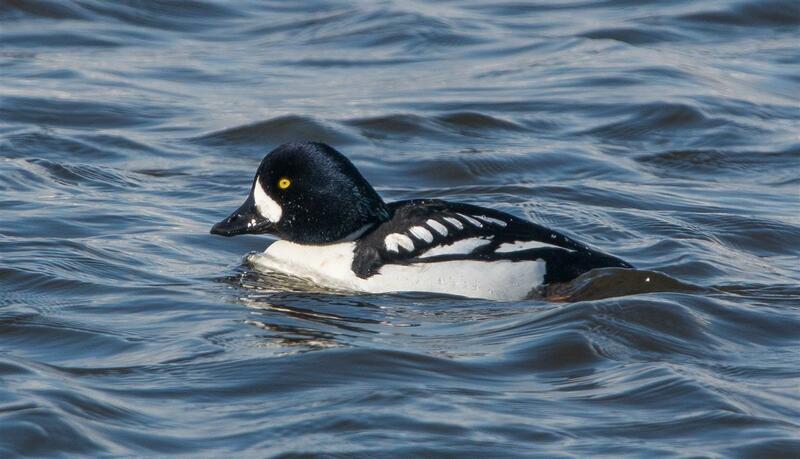 This beautiful male Barrow's Goldeneye was photographed at Point Breeze on the 31st, taking refuge from the frigid sub-zero winds within the marina. 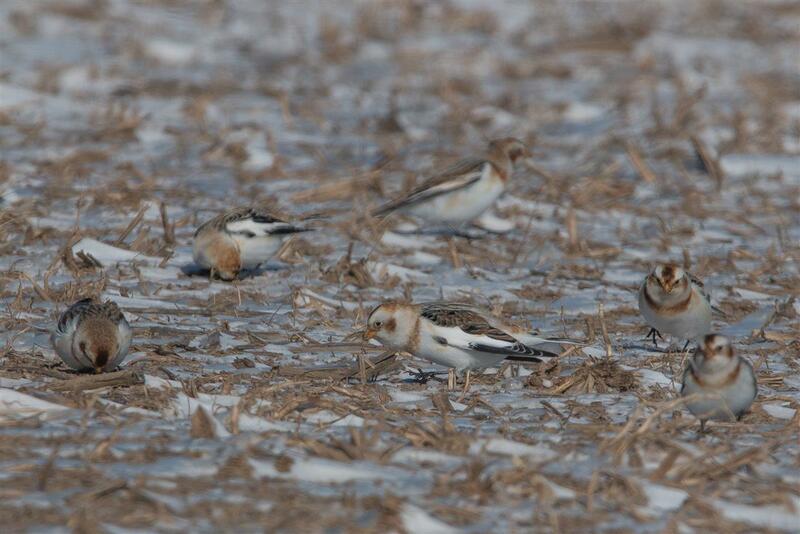 A handful of Snow Buntings from a flock of over 100 in Orleans County on the 31st. 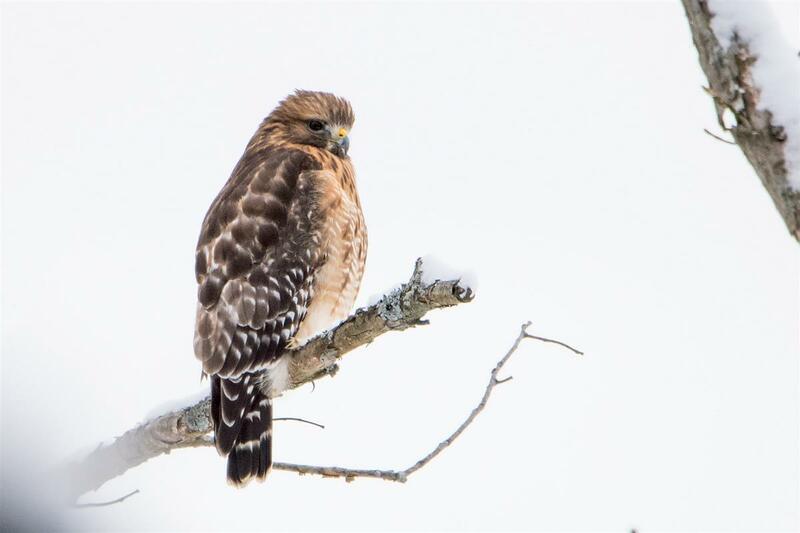 This handsome, adult Red-shouldered Hawk was stalking feeders at the home of a West Falls resident.